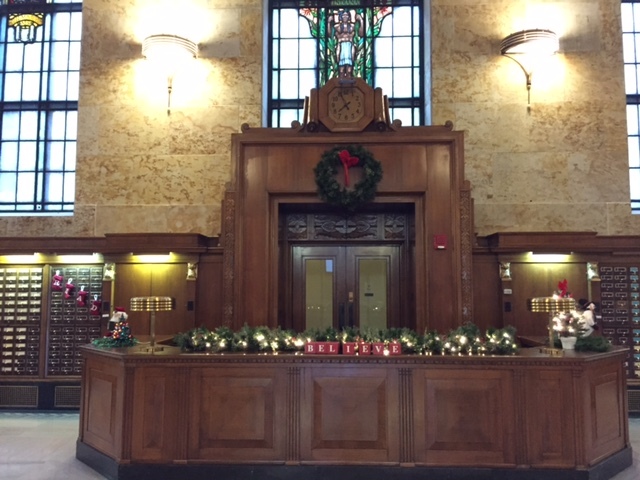 The beautiful Indiana State Library is now decorated for the holidays! 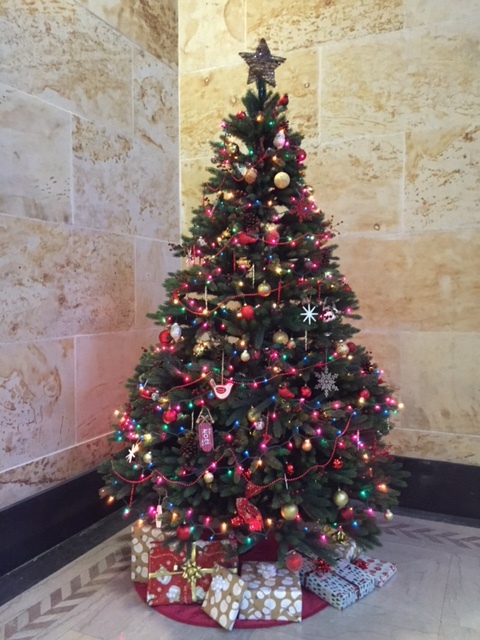 The library put up eight different Christmas trees, including one that incorporates a library card ornament from each of the public libraries in Indiana. If you get a chance to get to downtown Indianapolis make sure you stop in and see us. Special thanks to library staffers Connie Bruder, Mary Kelley, Jake Speer, Rayjeana Duty, Joan Gray, Daina Bohr, Christy Franzman, Caitlyn Stypa, Maggie Ansty, Lamar Porter and Scott Lambert for their help in assembling and displaying the decorations.